Alone In Berlin: resistance is futile? To read Every Man Dies Alone, Fallada’s testament to the darkest years of the 20th century, is to be accompanied by a wise, sombre ghost who grips your shoulder and whispers into your ear: “This is how it was. This is what happened”. Every Man Dies Alone is the original German title of the novel by Hans Fallada published in English as Alone in Berlin, which I have just finished reading. The novel was published in German in 1947, only a few months before the author’s death. It is extraordinary that this excellent English translation by Michael Hofmann only appeared in 2009. ‘Everyone dies for himself alone’, the literal translation of the German title (Jeder stirbt für sich allein) is a more telling indication of Fallada’s intentions: it is dying, much more than being alone, that is at the heart of this book. It concerns resistance to the Nazi regime by individuals, all of whom die as a consequence of their endeavours. This is the remarkable thing about Fallada’s book: the resistance is individual, isolated and ultimately, it seems, futile. Fallada alternates the focus between the Quangels and the Gestapo officer assigned to track down the ‘hobgoblin’, as they come to call the postcard writer. He fills a map of Berlin with little red flags to show where the cards have been dropped, and we learn that of the 276 postcards and 8 letters deposited by the Quangels over two years, all but 18 are handed straight in to the Gestapo. As the net tightens around the Quangels, their actions draw friends and relatives into the hands of the Gestapo too. Well, it will have helped us to feel that we behaved decently till the end. […] Of course, Quangel, it would have been a hundred times better if we’d had someone who could have told us, such and such is what you have to do; our plan is this and this. But if there had been such a man in Germany, then Hitler would never have come to power in 1933. As it was, we all acted alone, we were caught alone, and every one of us will have to die alone. But that doesn’t mean that we are alone, or that our deaths will be in vain. Nothing in this world is done in vain, and since we are fighting for justice against brutality, we are bound to prevail in the end. The Penguin edition contains an Afterword which reveals ‘the true story behind Alone in Berlin‘. 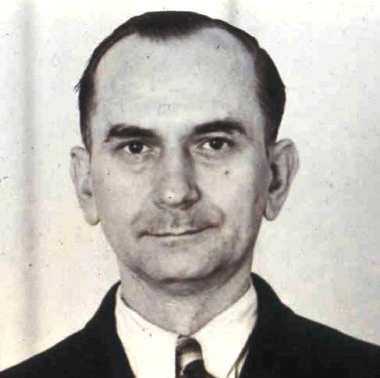 Fallada based his novel on the case of Elise and Otto Hampel (above), a poorly-educated working Berlin working-class couple who had both originally been Nazi supporters. 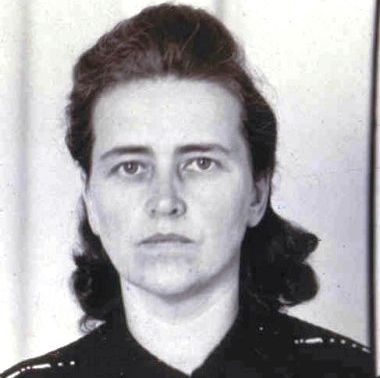 Fallada was given access to their Gestapo file by a poet friend who had become cultural minister in the postwar communist government in East Germany. Elise Lemme married Otto Hampel in 1935. She was a domestic servant and a member of the National Socialist Frauenschaft (Women’s League). Otto had served in the First World War and was a factory worker. After Elise’s brother was killed during the German invasion of France, the couple embarked on a three-year personal campaign of opposition to the Nazi regime. They they began to deposit postcards (such as the one below) and some 200 written leaflets which called upon people not to buy Nazi newspapers, to refuse to serve in the forces and to overthrow Hitler, in post-boxes and stairwells around their home district, Berlin-Wedding. Their campaign lasted for two years before they were eventually betrayed. They were arrested on 20 October 1942, sentenced to death by the People’s Court and executed in Plötzensee prison the following April. 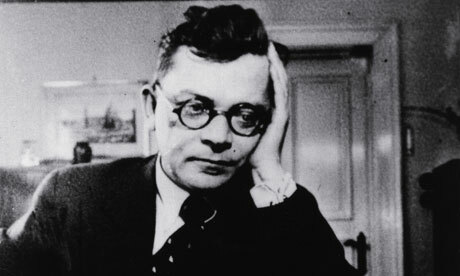 Hans Fallada’s own story is remarkable. His real name was Rudolf Ditzen, the son of a lawyer who was later appointed a judge. At the age of 18 he killed a school friend in a duel, and spent much of his career in psychiatric hospitals or in prison for thieving and embezzlement to support his morphine habit. In between, he worked on the land, wrote a couple of novels and held down jobs for a period on newspapers. He came under official suspicion after his most popular novel, Little Man, What Now (1932), was banned. In and out of insane asylums for the last years of his life, he died in 1947, shortly after completing Alone in Berlin. Primo Levi declared that Alone in Berlin is ‘the greatest book ever written about German resistance to the Nazis’. Excellent book and very good review of it. The movie adaptation is out and did justice to Hans Fallada’ s original work. Powerful stuff and historically accurate.